GHR Foundation is pioneering design-build philanthropy to create change with our partners around the world in the areas of global development, education and health. Born in Olivia, Minnesota, one of eight children and the son of tenant farmers, Gerald began his business career at age six, selling sweet corn on the highway. There, he learned early practical lessons on the necessity of hard work and faith. 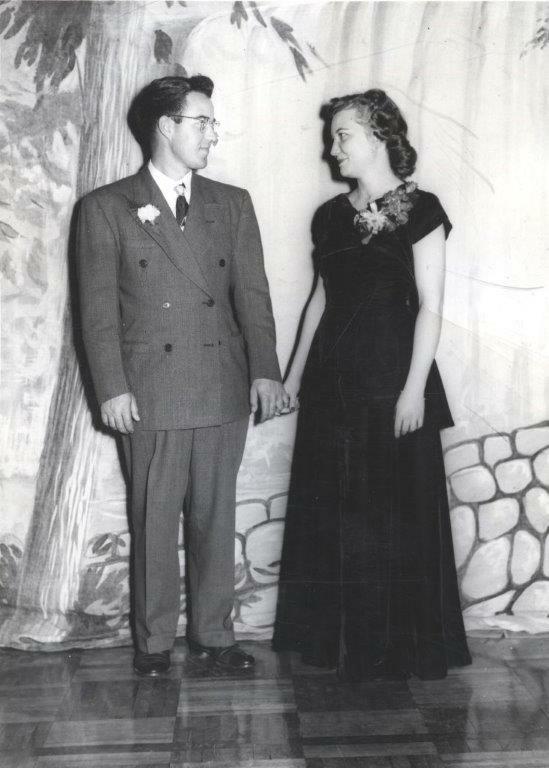 As a student at St. Thomas College in St. Paul, Gerry invited Henrietta "Hanky" Schmoll, a girl from the College of St. Catherine, to the homecoming Dance—a date that launched a lifetime together. The couple was married in 1950 and spent the next six decades raising seven children and living out their shared commitment to Catholic social values. Three years after they married, Gerry used their $354 in savings to start the business that would become the Opus companies, where he pioneered the design-build approach to construction. By providing both architecture and construction services, he found he could design solutions faster and more efficiently while absorbing risk for his clients. This groundbreaking approach was later recognized by the Design-Build Institute of America with a lifetime achievement award. Ever-mindful of the inextricable link between business and community, Gerry and Hanky started GHR Foundation just 15 years after launching Opus. They intended the foundation as a vehicle to apply a unique approach to philanthropy, using what Gerry learned from construction to develop a design-build method for helping others.